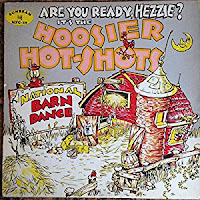 Not long ago I brought up the subject of the Hoosier Hot Shots to a group of six friends, all of them 70 plus years old. 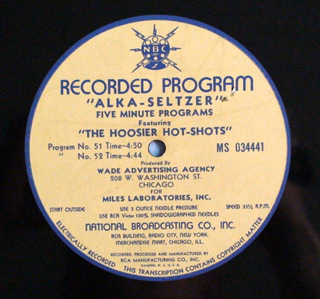 None of them could recall the singing group of Indiana natives that captured huge audiences of listeners to their radio programs beginning in the mid-1930s and extending into the 1970s. That is a shame, given the impact the quartet had on millions of Americans, especially during difficult times. Shown above, the Hoosier Hot Shots, while able to play multiple instruments, generally stayed with clarinet (Gabe Ward), string base (originally Frank Kettering), guitar (Ken Trietsch) and slide whistle (Ken’s brother, Paul, known as “Hezzie). Hezzie also played a homemade instrument made from a washboard with various noisemakers attached. 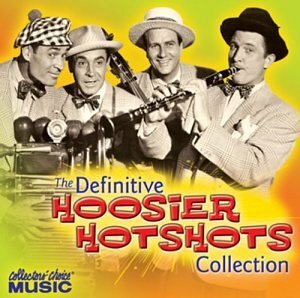 All of them accomplished musicians, the Hot Shots’ repertoire focussed on swing and jazz standards as well as their own compositions of a comic variety. 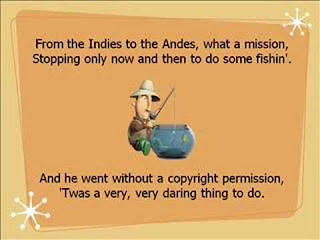 Those humorous songs always have been among my Hot Shots favorites. 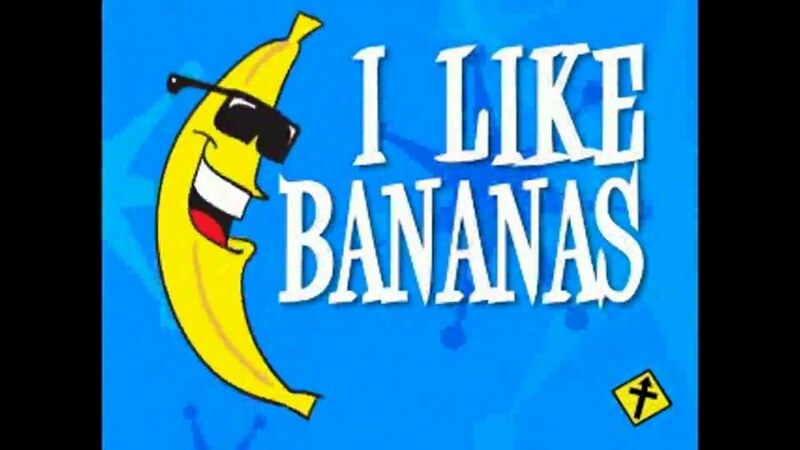 Among them is “I Like Bananas, Because They Have No Bones.” It begins with customer complaining that a fruit vendor has not been displaying his favorite fruit. Because they have no bones. 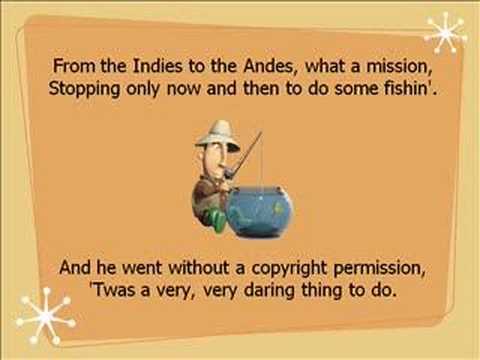 Another “nonsense” song written by the Hot Shots that has had some interest down the years — even to be included in a Boy Scout handbook for singing around the campfire — is “To the Indies to the Andes in his Undies.” Here are some sample stanzas. And he never took a shave except on Mondays. 'Twas a very, very daring thing to do. To protect him when the tropic sun was glaring. Otto Zilch - he's the idol of the nation. He’ll be called to the Senate for investigation. Curious about the name “Otto Zilch,” I did some research on the last name and found that “zilch,” meaning “a nullity” or “nothing,” likely dates from a 1931 magazine article with which one of the Hot Shots may have been familiar. 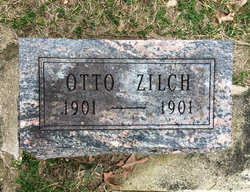 Zilch is an actual family name of German-Slavic origins, however, and an “Otto Zilch” lies buried in the Fletcher Cemetery in Starke County, Indiana. His tombstone is shown here. The Hot Shots could not have had him in mind since this Otto died in infancy in 1901. 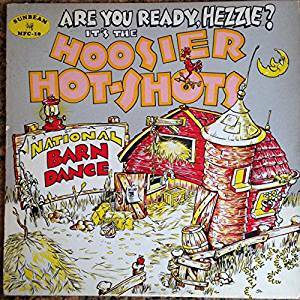 Today the Hoosier Hot Shots music may sound dated or even “corny” to some but the secret of their four-plus decade run, I believe, is rooted in the their times. They began performing during the hardest economic era in the Nation’s history when millions of American were out of work and hurting. The Great Depression was not just financial but psychological. With their upbeat, free swinging musicality, spontaneous arrangements, and frequent close harmony they helped lightened the burdens of everyday life. 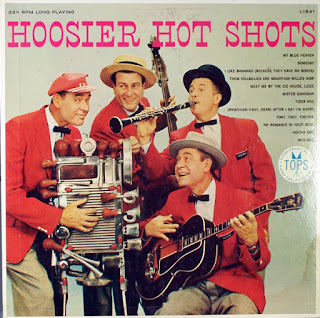 It was hard to think of the Hoosier Hot Shots without smiling. World War II brought its own tensions and sorrows. Now at the peak of their popularity the Hot Shots toured with the USO to entertain the troops in North Africa and Italy. Newsreels spots of their performances often were part of the weekly trek to the cinema palace. 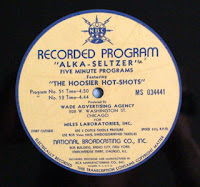 Their records regularly made the Billboard country charts and they were regulars on the National Barn Dance from WLS-AM in Chicago, broadcasts that could be heard nationwide. But time flies and fame is fleeting. 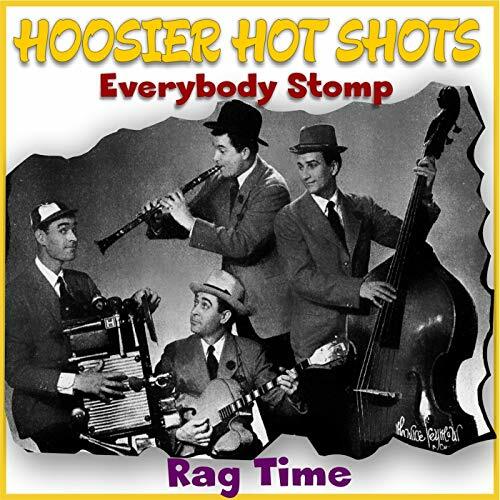 Unfortunately few are alive today who heard and appreciate the Hoosier Hot Shots. But if you have an Amazon Echo or a similar device in your home, ask it to play a number by the group. I did recently and four wonderful songs rolled off before I was forced to other pursuits. 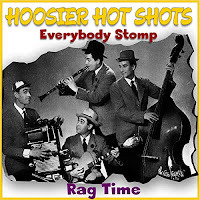 Oh yes, and Hoosier Hotshot CDs are readily available from Amazon and other sites.